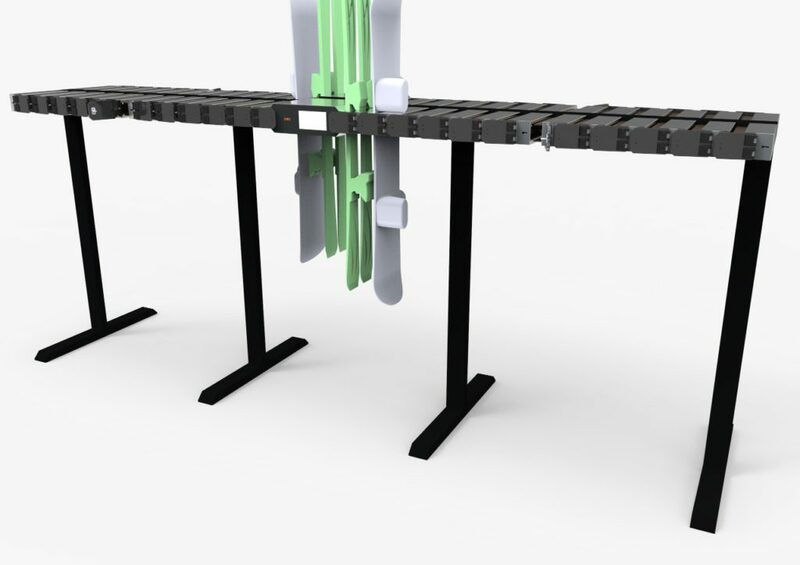 Ski Depo is a system for storing skis and snowboards that provides a possibility of automatic rental of cells, or, simply put, Ski Depo is a compact automatic locker for skis and snowboards, unparalleled in the world. 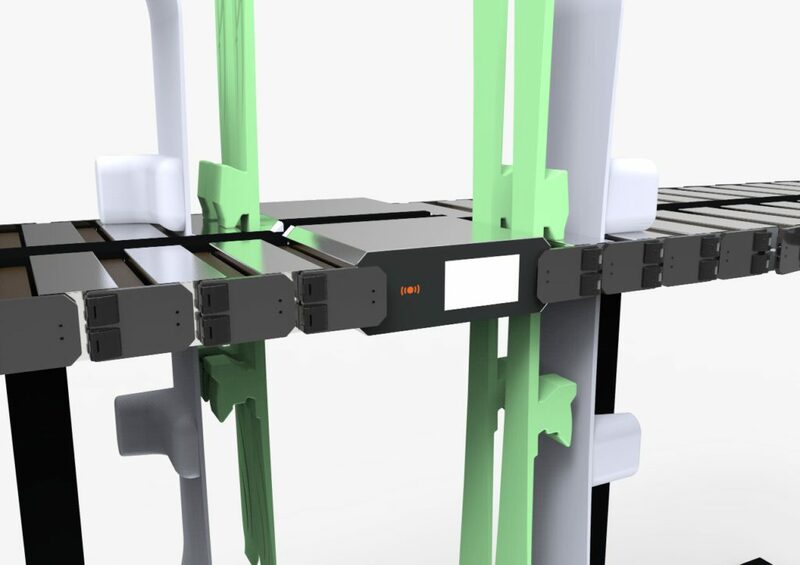 The system is essentially a rack with lockable sections, each of which is equipped with an electronic lock and an opening sensor. 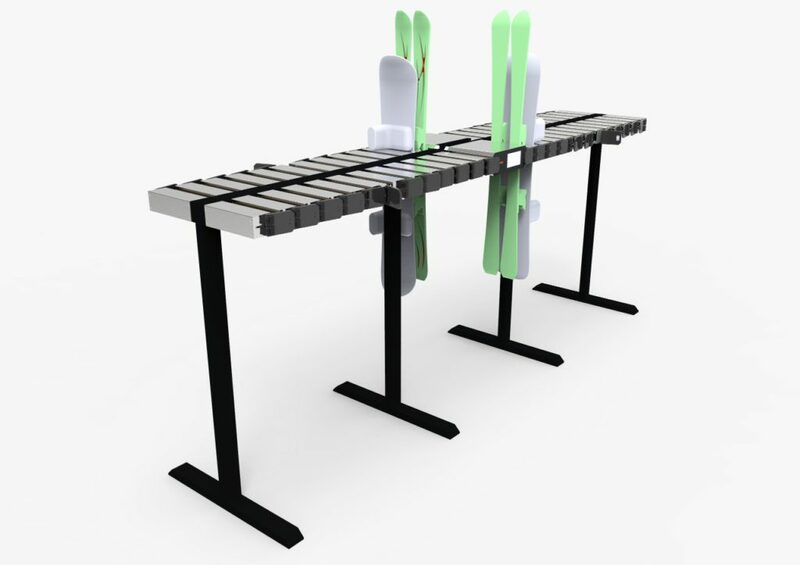 At the same time, the width of a Ski Depo section is designed in such a way that it can only take in one pair of skis or one snowboard. The framework is made of rugged stainless steel with a waterproof control/display unit and a climate control system which allows for the outdoor use of the equipment. The control/display unit comes with a full-color information LED screen featuring a user-friendly interface and a skipass reader. Now, let’s consider two basic scenarios of Ski Depo operation: (1) the cells are open by default, and (2) the cells are locked by default. When in the “open” mode, all the cells stay open – the skier picks any cell he likes, leaves his skis or his snowboard in it, and locks the door. After that, he applies his skipass to the reader on the control/display unit, and this specific cell gets assigned to his skipass, which also triggers the rental period. Should the skier for some reason forget to apply his skipass to the reader, the cell will unlock automatically in 5 seconds and give an electronic beep to the skier. In the “locked” mode, the reverse algorithm is used – all the cells are locked; the skier first applies his skipass to the reader, after which a random vacant cell opens, the skier leaves his pair of skis or his snowboard in it, and locks the cell, which triggers the count of the rental time – there is no need to re-apply the skipass. 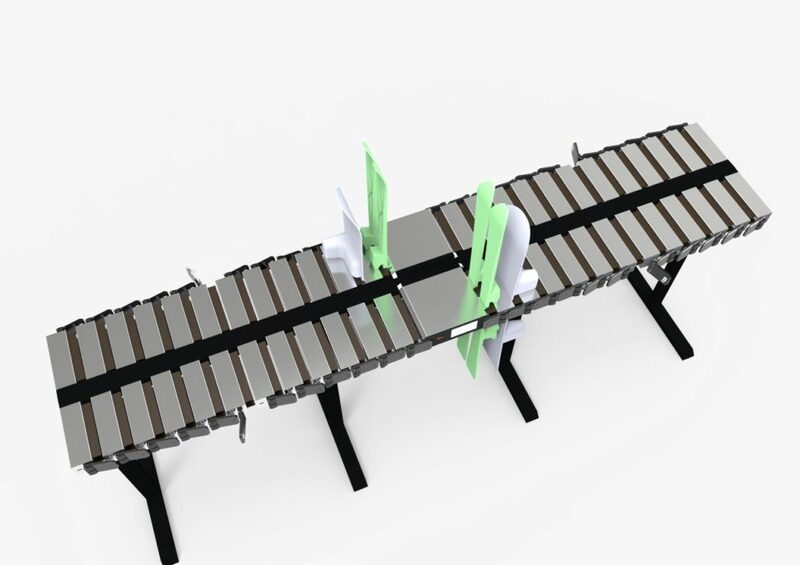 Ski Depo is a unique short-term parking system for skis and snowboards. Your guests will no longer have to worry about their expensive pair of skis or snowboard – all they will have to do is apply the skipass, and the cell will be safekeeping these things until the client comes back. This system is perfect for ski schools, mountain resort restaurants and cafés, and zones of storing personal belongings and skis/snowboards. Its features allow the system to operate in both chargeable and free-of-charge modes of cell rental. Installing Ski Depo at your mountain resort, you will not only protect your guests’ property but also make extra money on the new service of renting out the cells, generally improving the overall quality of skiing experience. → The system can operate outdoors (down to -35 Celsius). → The skier’s skipass is assigned to the rented cell. → Extended set of LED screen features (it can display the skipass balance, or function as an info-terminal of the resort’s services). → Less expensive in comparison with foreign analogs. 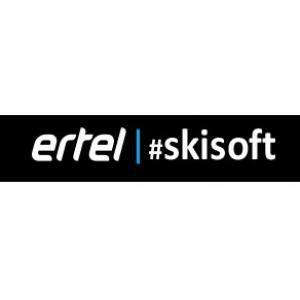 The ERTEL Company and its SKISOFT division is your dependable partner for solving the tasks of mountain resorts, as well as other facilities of any level of complexity. The ERTEL Company was founded in 2003; it specializes in integrated automation of sports and entertainment industry facilities. The key focus area of ERTEL is the automation of property management processes, financial flow accountability, as well as ensuring the safety of the mountain resort’s guests and employees. Working in close cooperation with other equipment manufacturers and software developers, we have an opportunity to come up with solutions that satisfy any requirements of our clients in such areas as: mountain resort management, access and control systems, industrial safety and labor protection, fire alarms, payment systems, television and telephone networks, as well as local computer networks with a secure connection to the Internet. The extensive experience of the ERTEL specialists working with a wide range of hardware and software from domestic and foreign manufacturers and developers allows the company to provide all-round support both for individual and integrated systems. Thanks to the practice of direct delivery, we offer our clients hardware and software at budget-friendly prices; we can also offer a flexible price-forming policy that will satisfy the clients’ expectations at any level.